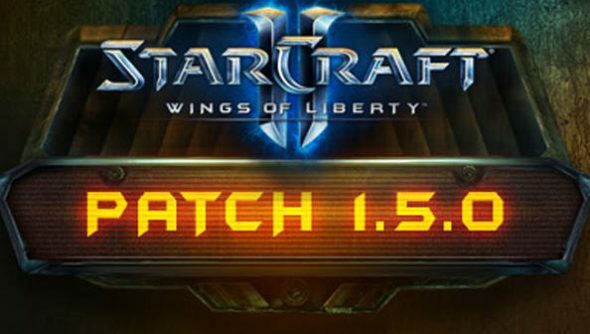 Starcraft II patch 1.5 is in the here and now! This one comes sticky-noted with a warning from Blizzard, as it will require players to migrate to a new streaming-enabled client during installation. So take care to read that before installing. Done? Lovely. Let’s see what else has changed. The battle.net UI has been unceremoniously shunted about in all sorts of places to make way for the Arcade button, the new home of custom games, as well as the Starcraft II button, home to “classic single player and multiplayer experiences” – incorporating the campaign, multiplayer ladder, melee maps and more. Under the Arcade button you’ll find the Spotlight page, made up of featured, new and community-voted games; you can also search for games via genre, popularity, star ratings, newness, and “recent spikes in popularity”. Each custom game found through the Arcade button is represented by its own icon, with more detailed information on each available with a click. Elsewhere the patch features a host of bug fixes, while innumerable changes have been made to the editor. You can find the full list for both here at battle.net. Last but certainly not least notably, new security protocols have done for .mpq mods.